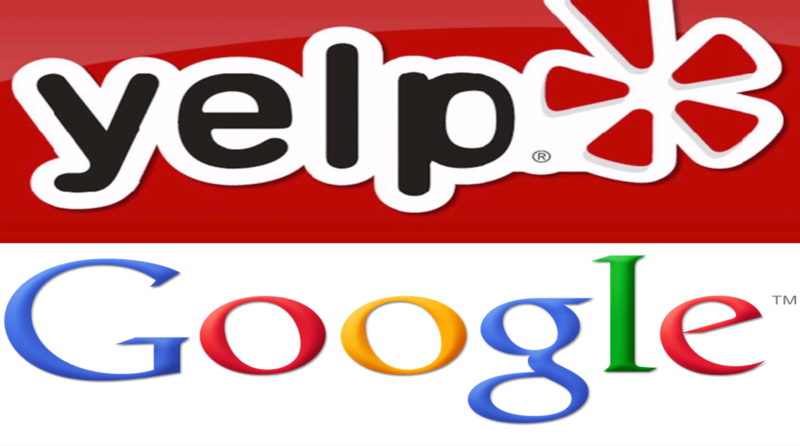 Should You Advertise with Yelp or Google? Many prospective clients have asked me which platform they should advertise with, Yelp or Google. It depends. Between your website and your Yelp profile, which one looks more attractive to your targeted customers? I have spent my entire career in advertising. I know how it works. However, in order to succeed, you have to have a ready-to-convert landing page, where customers will be impressed by you and ready to make a call on the spot. Pros: Easy to set up. All you need to do is contact Yelp sales and pay an annual fee. Then you will have a slideshow of your photos, perhaps even a video (created by Yelp), added to your profile page. Your ads will show on top of Yelp’s search results as well as your competitors’ Yelp pages. Cons: The annual fee is not cheap, and cancelling comes with a heavy penalty. Once you sign up you cannot control your monthly or weekly spend. Give Yelp a try if you have a good number of reviews (say, 10 to start with) and your overall rating is four stars or above. Pros: Google ads can appear at a higher position than Yelp pages on Google. 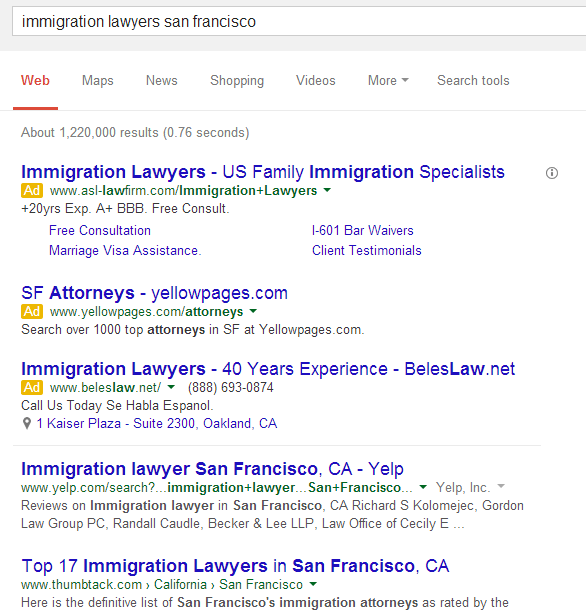 Three law firms appear higher than Yelp while searching “immigration lawyers San Francisco”. Compared to individuals, corporate users tend to use Google more than Yelp. Furthermore, Google Adwords gives you complete control over who to target, which keywords to buy, the optimal times to show your ads during a day or a week, how much to spend each month and much more. You can turn it on and off any time you want. Cons: That amount of control can also be overwhelming to manage. If you don’t allocate enough time, the Adwords account may not reach its potential, and you may feel it is too expensive to maintain. That’s why many law firms will hire Adwords professionals like myself to run the account for them, but of course that comes with an extra expense. If you have a decent-looking website that includes an easy-to-access phone number or contact form – especially if you are not on Yelp or haven’t built up a good number of five-star reviews there yet. 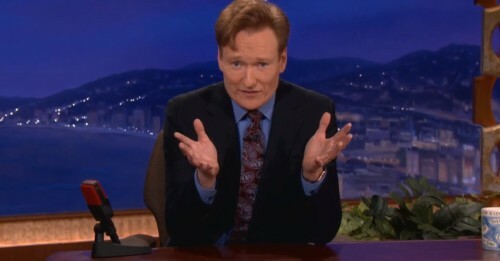 Also, if your clientele is more corporate, then a Google presence is more critical. Hope these tips are helpful! I’d love to hear your feedback. Email me and let me know what marketing-related questions are on your mind. I’ll write about it next!